Our fly-in fishing operation wouldn’t be possible without the help of our fantastic staff! Today we’d like to give a special shout out to Patrick – one of our dockhands. Patrick is from Fort Frances, which is about an hour south of Nestor Falls on the border of Ontario and Minnesota. He’s 18 years old and this is his second year helping our son, Jon, man the busy docks. Outside of work, Patrick loves the outdoors and is an avid hunter and trapper. Last year, he trapped 135 beavers by himself with 200 square miles of trap line on Rainy Lake. But the outdoors isn’t all he’s interested in! Next year, he’ll be going to school in Thunder Bay to study Electrical Instrumentation. 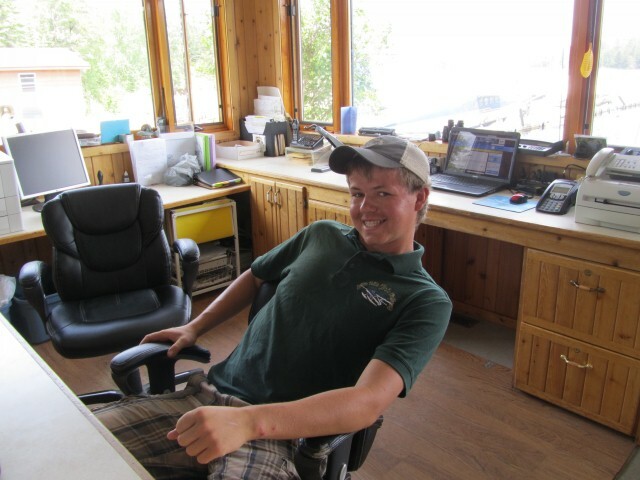 Hard working individuals like Patrick help us ensure that you receive the best service and experience during your visit to the Canadian wilderness. Thank you for choosing to come work with us, Patrick! We are lucky to have you on our team.